The Everest Panorama trek is entertained from the north east of Kathmandu Valley. The Everest Panorama trek is especially designed for that trekkers who have limited time for trekking though don’t want to miss the awe-inspiring and breathtaking views of the world’s highest Mountain Everest (8,848 m.). Everest Panorama Trek is an easier option than the full Everest trek reaching Buddhist monastery of Tengpoche at the height of 3867 meters. The Everest Panorama Trekking is less difficult than the other Everest treks and is a short and scenic trek, offering fabulous view of the world’s highest peaks, including Everest, Lhotse, Thamserku, Ama Dablam and many other snowy peaks going on with rich Sherpa culture & lifestyle. The Everest Panorama Trek is a great introduction to Sherpa countryside and its culture with mesmerizing mountain views, one of the most popular destination for first time trekkers in Nepal. For this trekking, we may fly from Kathmandu to Lukla runway in the Khumbu region and trek up to Namche Bazar, Tyangboche (famous for its monastery) and into the Khumjung village, a very nice settlement of Sherpas. After breakfast we've sightseeing around Pokhara valley. 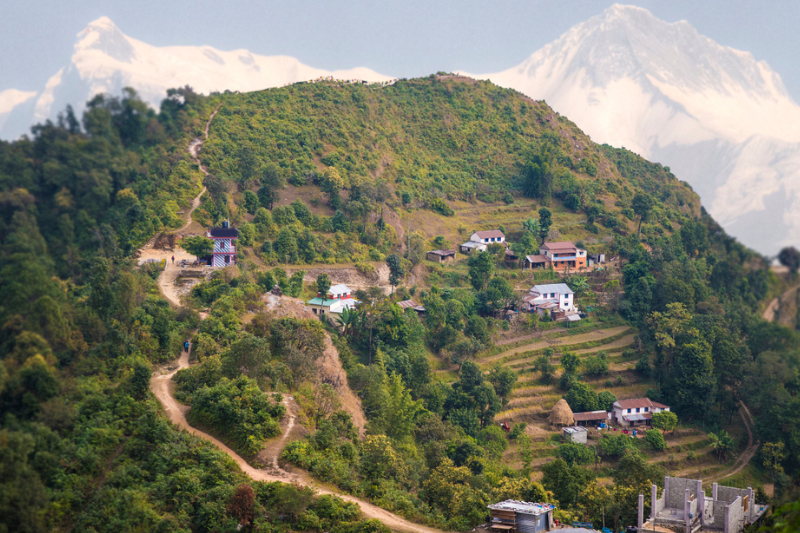 Pokhara lakeside villages sit, "front row center" to one of the most beautiful Himalayan panoramas in the world. The Annapurna and famous "Fishtail" mountain peak of Machapuchhare tower over the tropical setting of Pokhara and you spend there will be the scenic highlight of your trip. You're free in Pokhara Valley also called "Magic Land" or Dreamland" of Nepal, to explore the various interesting place like a boating in Fewa lake over looking the region of Annapurna Areas, David Falls, Mahendra Cave and some Temples. Evening you're free to explore the colorful town. O/N in Pokhara. (B/L/D).